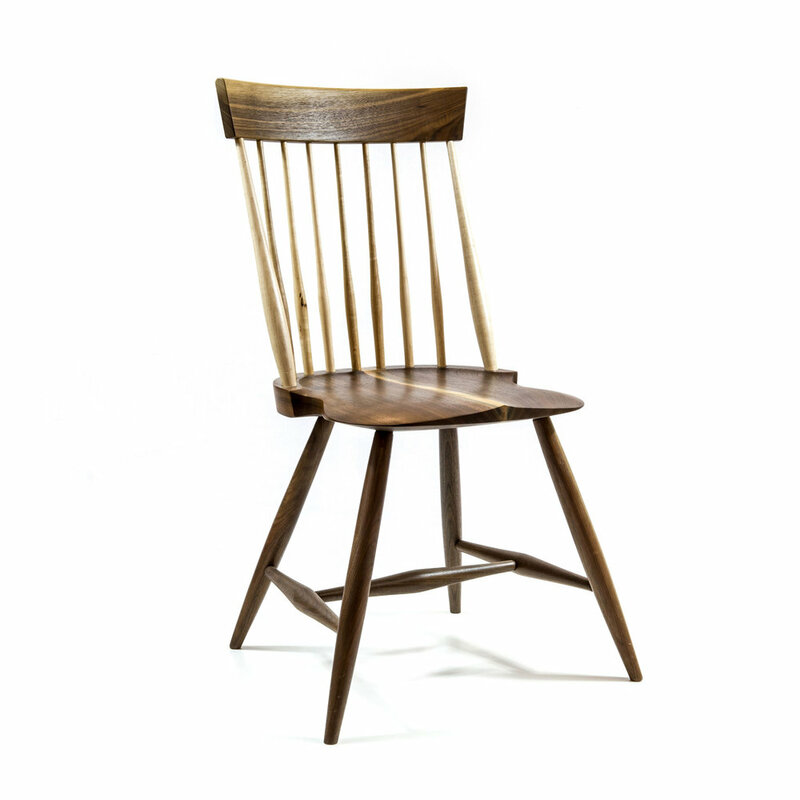 Walnut version of a simplified traditional American chair with maple back slats. A minimal take on a classic. 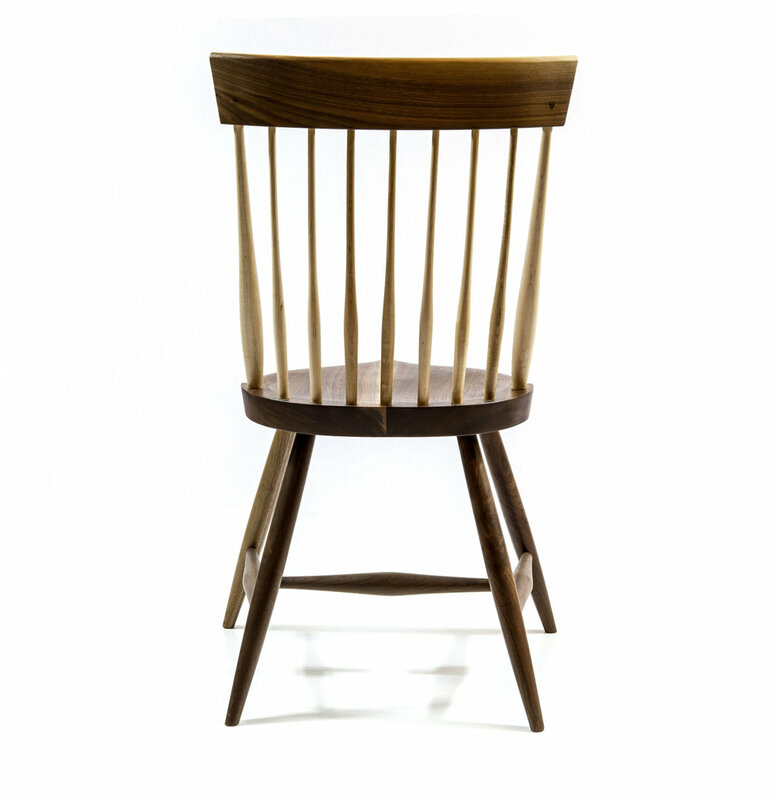 Available as a side chair or a captains chair. Handmade in Pennsylvania. Dimensions: 18" x 20" x 37.25"